What are the benefits of the CANNEX investment funds service? End of Day Price and Performance Values. Historical Price and Performance Values. 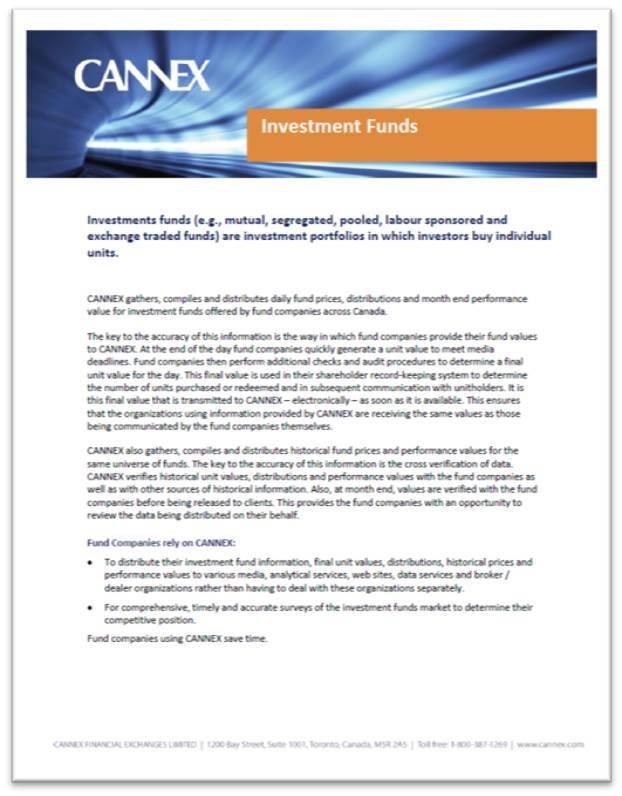 Fund companies rely on CANNEX for transparency and distribution of their fund information to electronic and print media audiences, data vendors, broker/dealers and various other financial institutions. Investment fund codes are used to uniquely identify a specific fund. One investment fund may have multiple fund codes, where each fund code may be used to delineate such things as currency or load type.